As I've alluded to in my previous Nova Bound posts, I've been bouncing all over the place in what I want to bring. Part of this is because I haven't really played many games at this scale and tend to get most of my gaming in at 1,000 points. A forewarning, this post is a veritible wall of text and quite long. Reader beware. I took most of last week off, from blogging, work, and hobbying, for my anniversary. 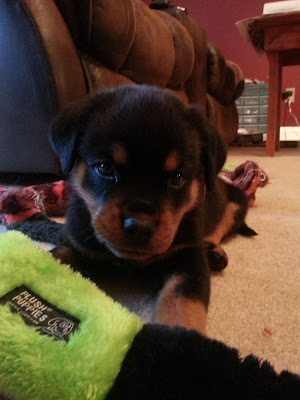 And then we got a puppy. I didn't spend quite as much time at the painting table this past weekend as I would have liked, but I got a good solid session in on Sunday, working on 17 Termagants. Above is where we last left off. The overall dimensions were in place, now for some refining. 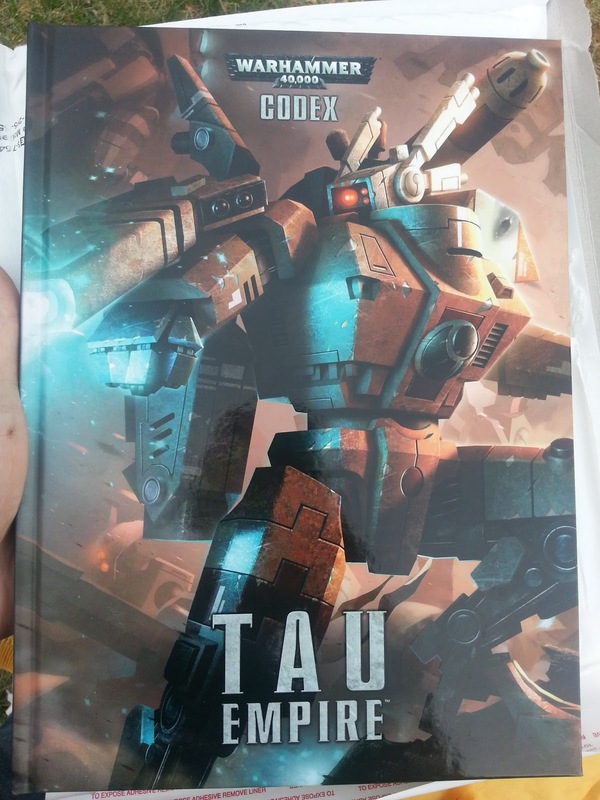 Well, it's here, the second supplement Codex release of 6th Edition, this time the Tau get some love. 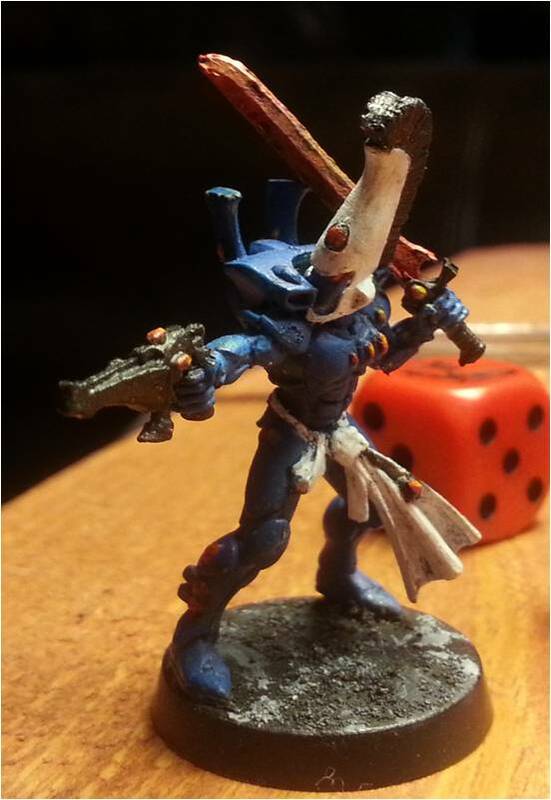 After some waffling on my part last weekend, I decided to paint some Eldar. I'd continued my organizing binge, getting an old army box full of bits all cut out and organized. Some of these included about 1,000 points of Necrons and I was tempted to work on painting the mostly assembled Warriors. After some admonishment to stick with the Eldar from Ron and Chandler (before I decided to go to NOVA with my bugs), I got down to work. For our Saturday big game, we decided to play a 1,500 point, three way battle, using the rules we'd debated primarily in this post. 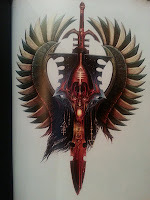 Evan ran Guardian-heavy Eldar, Ron had his Tau, and Chandler ran a fun Space Wolf list he came up with day of. For this Bat Rep, we're going to try something different and each of us will write up the events of our turn, along with before and after action thoughts. Well, after seeing posts from a bunch of other bloggers, particularly +Todd Sherman and +Sean Lang, and trolling the NOVA Open site for the last couple weeks, I caved and decided to purchase my passes and get ready to go. 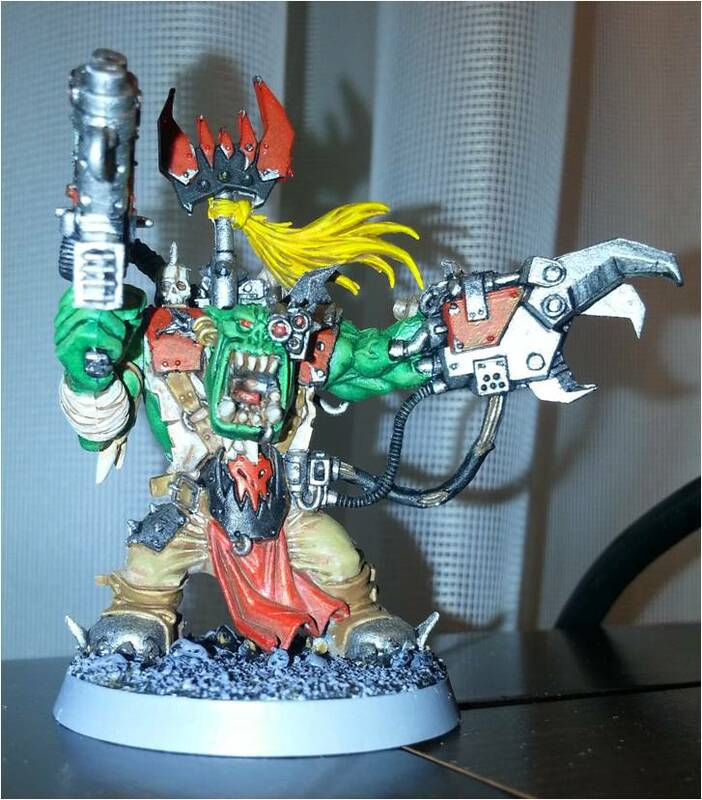 Fortunately, I am blessed with a fantastic wife who not only was ok with me signing up and making a few purchases to make the trip feasible, but encouraged it and mandated that I spend some time every night painting or assembling to make sure I get everything in tip top shape - I am a lucky man. Last weekend, I got started on a project that I've been contemplating for a good long while; I want to model a Mawloc bursting out of the ground, preferably eating and tossing some hapless guardsmen around. I bought the bits I would need for this project a long time ago, namely an extra torso and head. 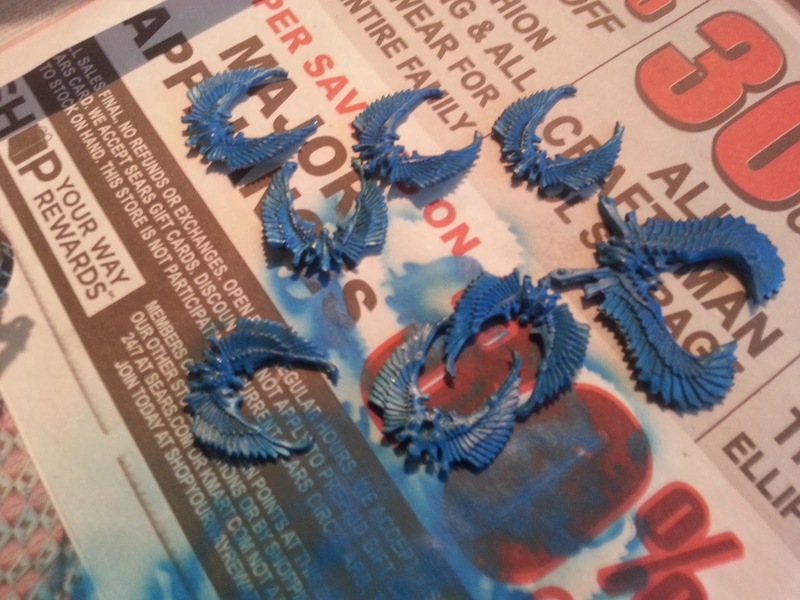 I had plenty of spare arms and other bits from my other two Trygon kits, not to mention an extra base I lucked into. I also wanted something for the base that could make it look like he was bursting up from beneath a street of concrete/asphalt floor, and a sheet of cork was perfect for this. 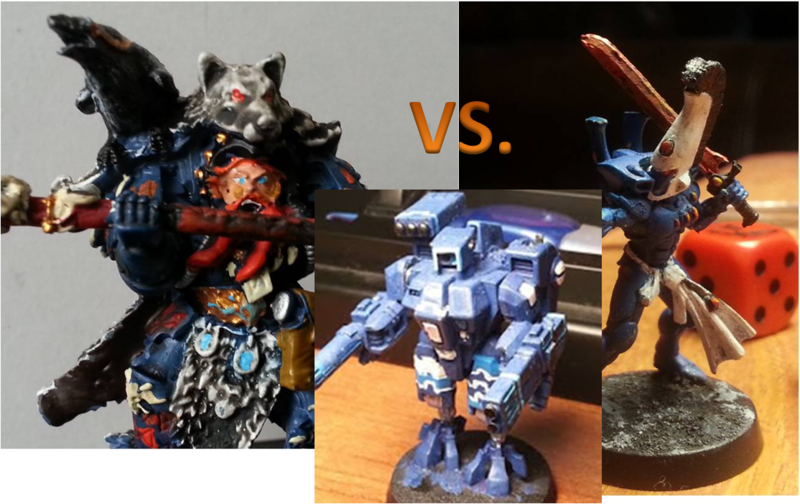 Welcome back to FTGT's series on converting the Tau XV8 crisis battlesuit. 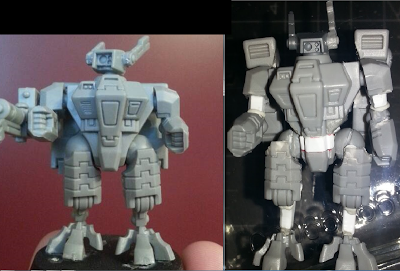 If you missed part one, you can find it here: Crisis Suit Conversion Part 1. When we last left off, our trusty crisis suit had ended up on the wrong side of a sharp hobby knife. 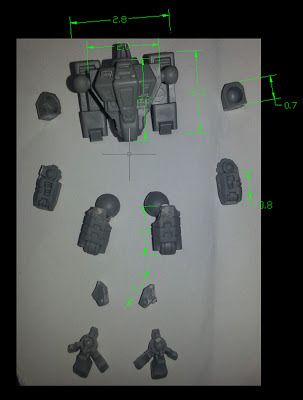 This article will focus on the rough structural changes required to update the suit to match the codex art dimensions I discussed in the first part of this series. Putty work and detailing will happen in the next installment (part 3) of this series. So lets get down to it. 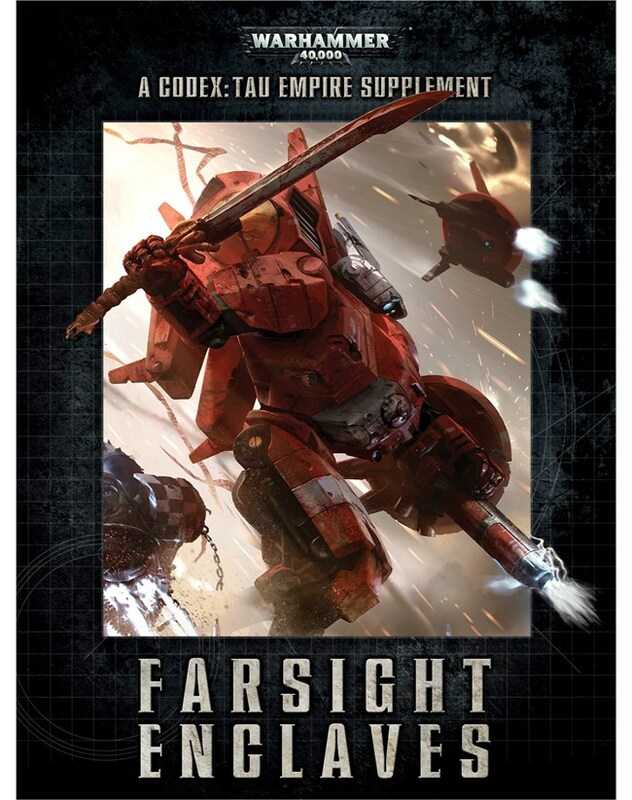 Black Library's site posted up the preorder for Digital copies of the Farsight Enclave and the Main Rules. Interestingly, both of these have the ambiguous release dates of August (Edit - On ordering my copy, the download date is shown as July 20). I suppose this could make Natfka's reinforced rumor of an October hardcover release a bit more plausible, though it still seems like a long time. I suppose one explanation could be the hope that pushing the hard copy would help digital sales since you can get it sooner. After a successful gaming weekend, I think that it would be fun for Ron, Evan, and I to talk about the Quick Mini Games we played, watched, and just give an overall impression of the setup. First I would like to say that these games took right around 45 minutes to an hour to get through. With only a 3' x 3' setup, the shooting started almost immediately and with the squads starting on opposite sides firing lanes were not an issue. The D3 + 1 pieces of terrain rule also kept it fun and interesting since it forced both armies to move towards each other while having open lines of sight. The last rule was that of the Armies to play. I feel if we had more armies to roll that it could have been even better. I've been in a hobby rut of late. In part this is because of a busy schedule, and in part it could be some lingering burnout. For me, if I just let something alone, a week away from the table will become two, which will become a month, and so on. I prefer to keep myself involved, keep the hobby on my mind, and maybe identify something I can do with my hobby I am motivated about. For me right now, that's organizing all my stuff. 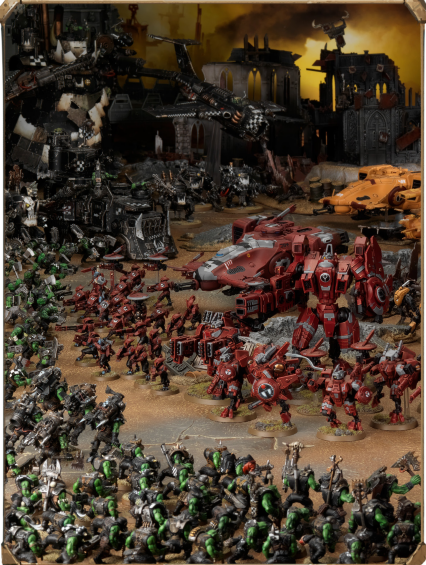 I've mentioned having a grey tide, as you can see in the back of the picture above, I also have a tide of sprues, which take up a lot of space, particularly the sprues that are mostly empty, but with some good bits left. I'd never really had a good place to put these bits before; a bitz box is great, but for someone as ADD as myself with the hobby, it quickly can become an unusable mess when you have bits from several armies across several systems. 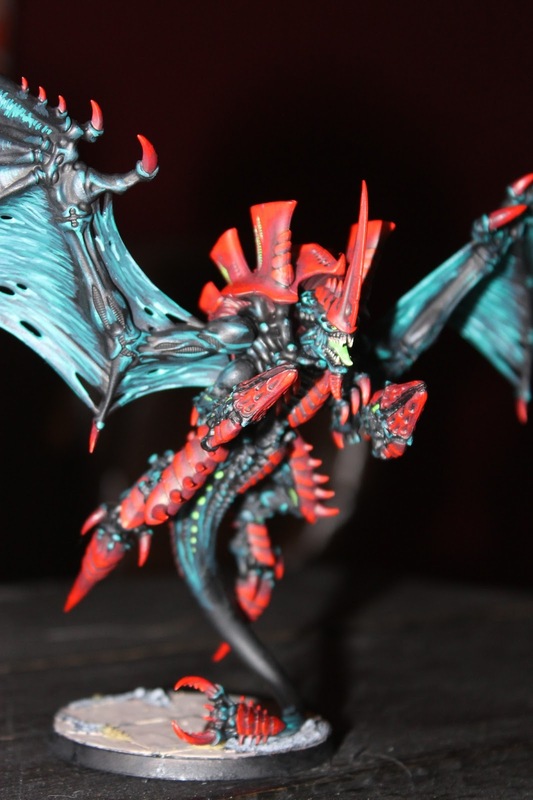 Many readers may have already seen this on Faeit212, but the NOVA Open Charitable Foundation is raffling off three armies for charity. All three are beautifully painted and will be shipped to you - you don't have to be present to win! 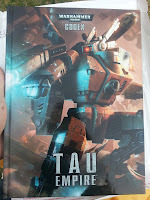 Hey FTGT readers, Ron here with another Tau modelling article. This one will take a look at the trusty, albeit dated, crisis suit. 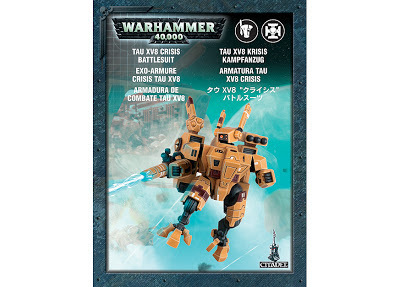 When the new Tau codex came out, many Tau players lamented the exclusion of a model update to this little guy, and admittedly the vertically challenged, robo-chicken, XV8, model seems a little out of place at the fancy new suit party. One look at the new Commander XV8 finecast model and you can see the missed potential. The final game of the day saw me pitted against the army I consider one of my list's hardest counters - Tau. Fortunately I wasn't facing down a suit or drone heavy list, which could help me. My opponent, Pat, is someone I've played before, and had less than a great time against, so I was a little leery of this game. This time the mission was The Scouring, on a Hammer and Anvil deployment. Since we were playing on square boards, we just did from the easy table edges. Game 2 saw me going up against Blue and his massively shooty Orks (Game 1 is the previous post, here). The last big tournament my LGS hosted, Blue won handily with this list. He's also a great player and was fun hanging out with all day. 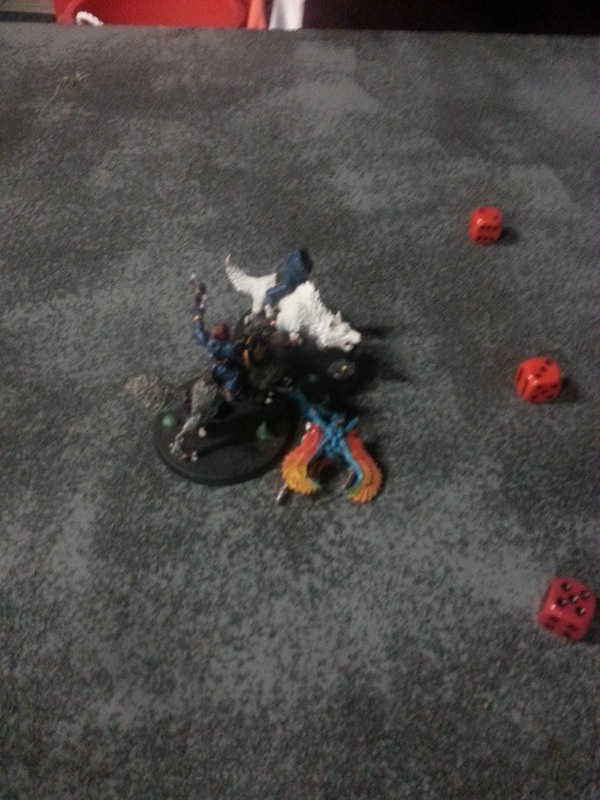 Deployment was once again Vanguard Strike, with mission being Emperor's Will, or as Blue put it, "Emperor's Draw." 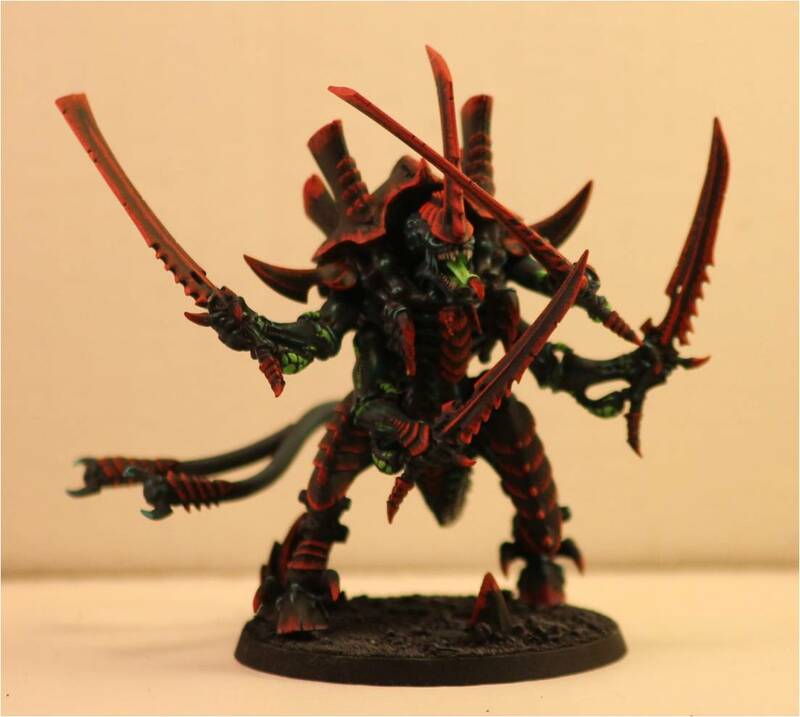 I ended up bringing 1,000 points of Eldar I had assembled for my LGS's tournament, which almost didn't happen for a second month in a row. Players 3 and 4 showed up about 10 minutes before game time, just in time for the organizer to not call it. 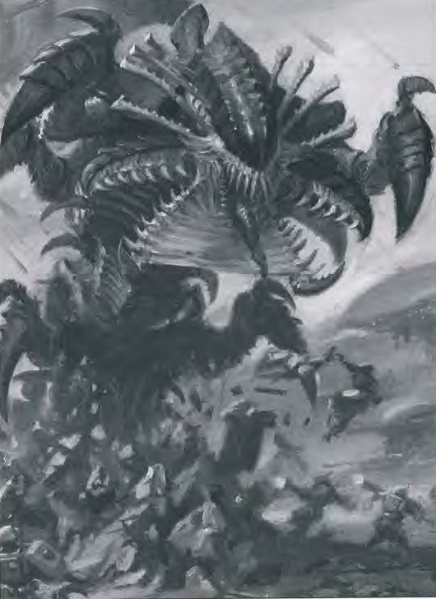 For my first opponent, I drew Tyranids. Apologies on the lack of updates this week - I was out of town and then hosting a July 4th get-together, which have delayed getting up more reports from last weekend. 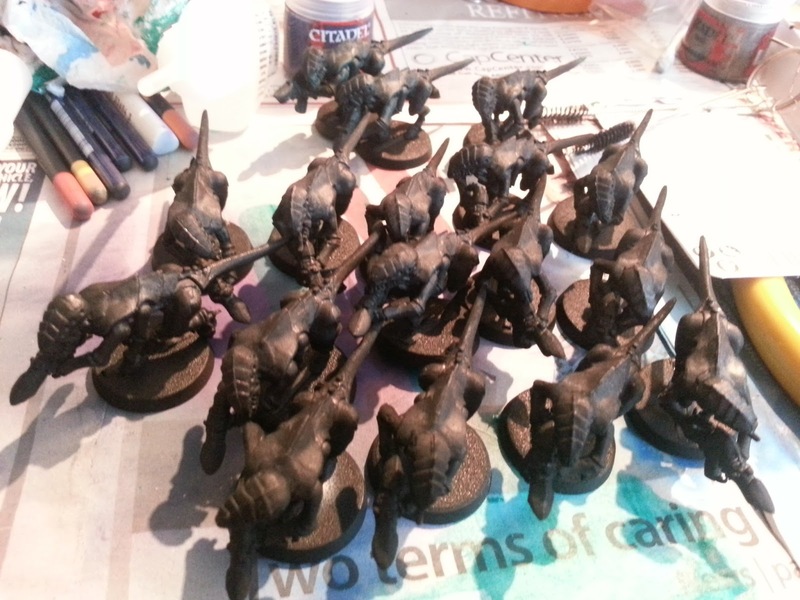 Once again, it's time for my LGS's 1k tournament, and, once again, I'm debating what army to bring. This time I have a slightly clearer picture of what I want to bring. My initial thought was to bring my Orks. After the less that stellar performance of my Eldar last weekend, combined with my expectation that a fair percentage of anyone who showed this month would be fielding either Tau or Eldar, I didn't have a strong desire to run the Eldar again this time around.